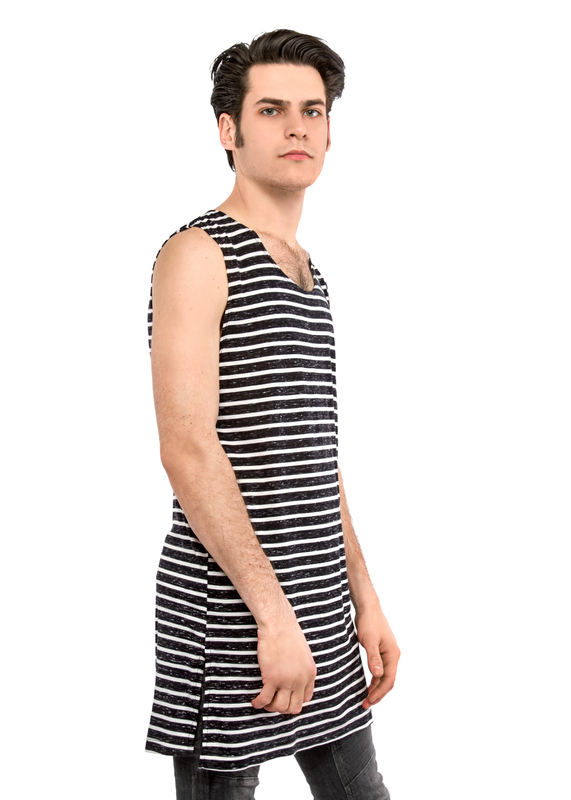 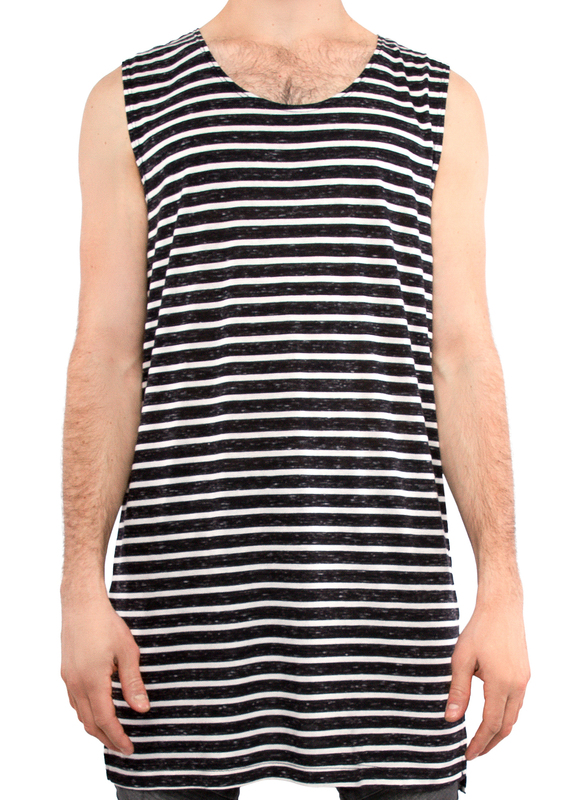 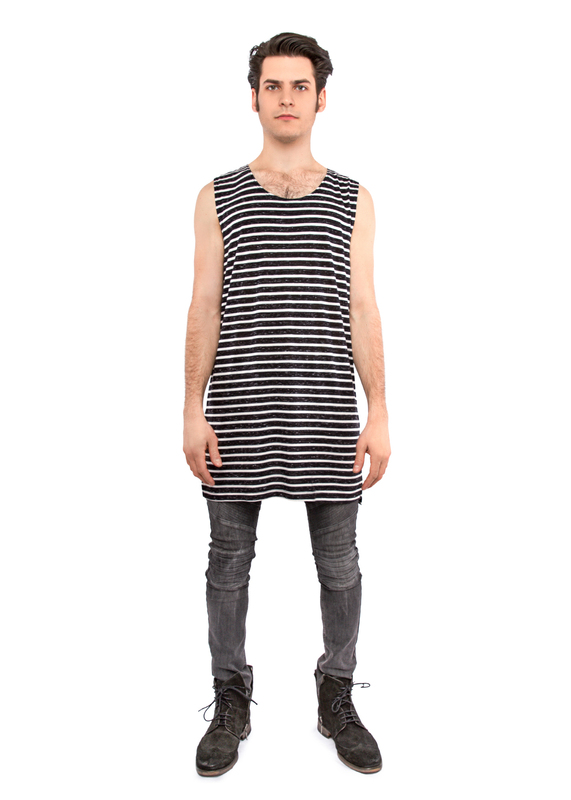 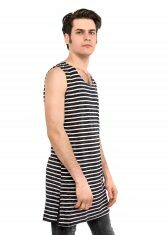 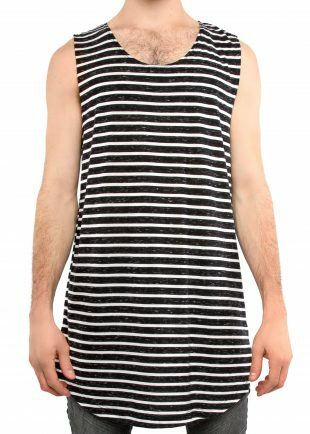 Lightweight layering tanktop with a high-low hem and alternating black and white stripes. 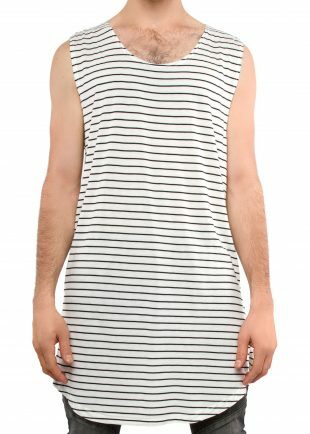 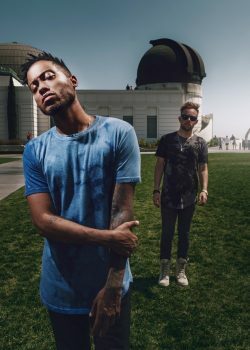 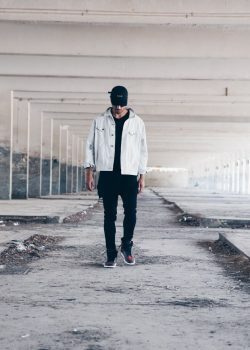 Made from a lightweight and luxuriously soft 72% polyester, 4% cotton, and 26″ rayon fabric that will stick close to the skin and add minimal bulk to a layered outfit. 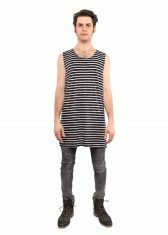 The length from HPS to bottom is 34.5″ on size medium for an extended length look. 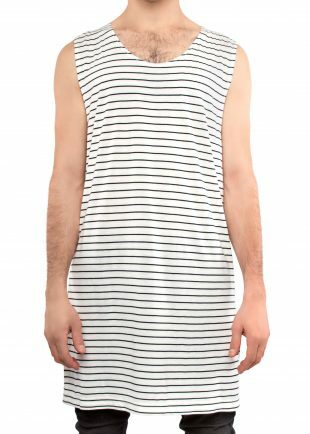 There are 6″ side slits at the bottom sides for comfortable movement and access to pockets. This tanktop can also be worn alone and is perfect for warm weather.